Cardiologists now have more insight into the arteries of the heart than ever before, thanks to a cutting-edge collaboration between engineering and medicine. University of Melbourne engineers and doctors have teamed up to image, model and print patients’ heart arteries in 3D, in intricate detail. The models are giving doctors new information about the elaborate twists and branches of the heart’s arteries and – using supercomputers – can measure turbulence and blood flow. Engineers will now be able produce the first 3D-printed model of a made-to-measure heart stent to test how it sits in the model artery and stands up to different pressures of blood flow. This technology, being led by Associate Professor Peter Barlis, heralds a new era in cardiology, where stents will be fully customised to the patient, biocompatible and a perfect fit. It’s 10.30am on a Thursday at the ‘cath lab’ at St Vincent’s Hospital in Melbourne. A middle-aged man has come to see Associate Professor Barlis, Honorary Principal Fellow at the Melbourne Medical School and the Melbourne School of Engineering. The patient had been referred by his GP after complaining of mild indigestion. Blood tests confirmed a small heart attack. Dressed in scrubs and a heavy lead skirt, jacket and throat protector, Associate Professor Barlis and the interventional cardiology team carry out a routine angiogram procedure to check for blockages in the arteries of the heart. This common and often life-saving procedure takes place up to eight times a day at the hospital. A dye is injected into the heart and monitored on a live x-ray feed as it is pumped through the valves and arteries of the heart. The camera, thinner than a human hair, is recording a continuous super high-resolution image of the shape, intricacies, twists and turns and the path of the arteries. This technique is called optical coherence tomography (OCT). Associate Professor Barlis is looking for blockages and large deposits of plaque. After a few minutes, he finds something concerning – not one, but two arteries with cholesterol deposits. One is completely blocked. Using a steady hand, via the catheter, the team inserts a stent into each of the blocked arteries, a scaffold designed to keep the artery open so blood can flow freely to the heart. The surgery is a success, the patient will go home and life will return to normal within 24 hours. The stents will remain in his heart for the rest of his life. Although not a smoker or heavy drinker, the patient did have a family history of heart disease. The decision to see the GP most likely saved his life. A person will suffer a heart attack every nine minutes in Australia. 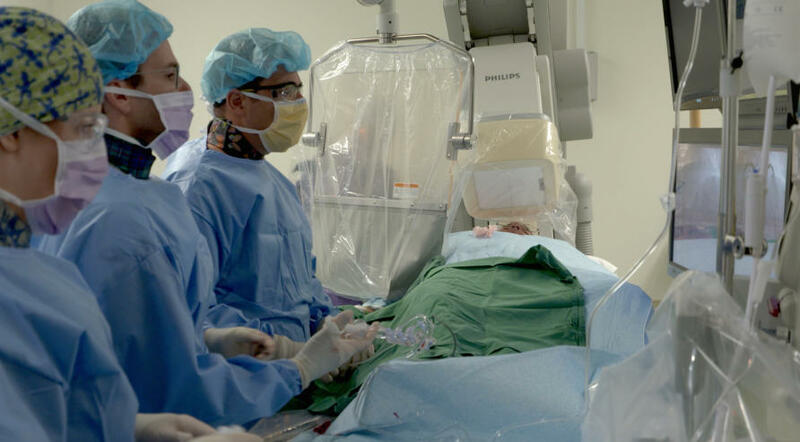 Cardiac surgeons are constantly searching for new ways to stay one step ahead of the disease and ultimately, to predict where blockages will form. Optical coherence tomography (OCT) was introduced to Australia by Professor Barlis in 2009 and is now used in every major hospital. The vision captured from the OCT can be fed into a supercomputer to help researchers better understand the intricacies of blood flow and how and where deadly cholesterol plaques, the waxy substance that builds up in arteries and causes heart disease, form. These images are then used to build the 3D artery models. A research paper published in the European Heart Journal by Associate Professor Barlis and his team outlines how these recent advances in image-based computational modelling present new possibilities for interventional cardiology. The new technologies enable doctors to detect ‘hot spots’ for plaque, by providing much more detailed images than traditional techniques. It is an important step towards the ultimate aim of being able to 3D print a custom heart stent during cardiac surgery. 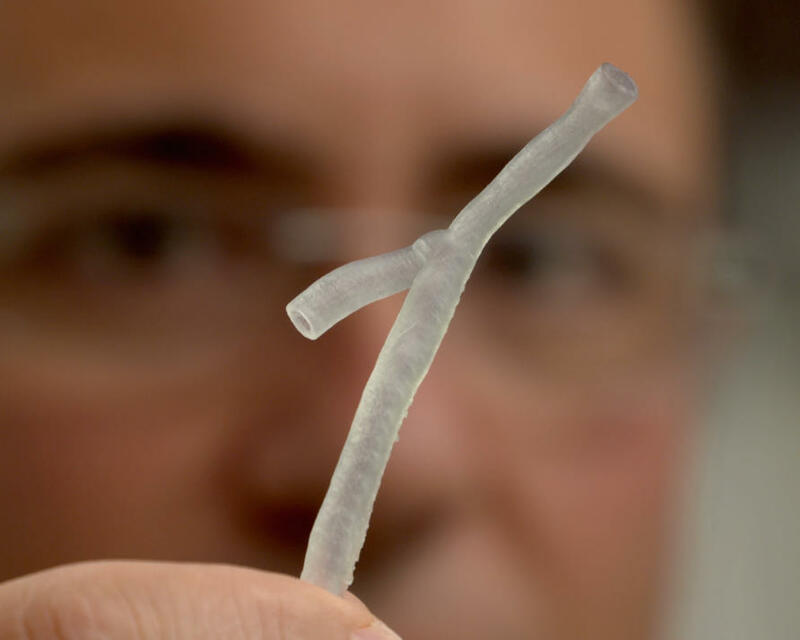 Their aim is to improve the technology so they can print the artery while the patient is in surgery and ultimately, to be able to 3D print a custom-fit heart stent on the spot. “Using our ultra-sensitive heart scans combined with models derived using supercomputers, we are now able to print out segments of the patient’s arteries and we hope to tailor devices to fit them perfectly,” Associate Professor Barlis says. “No two arteries are shaped the same. We’re all different, with arteries that have different branches and sizes, tapering from larger to smaller. 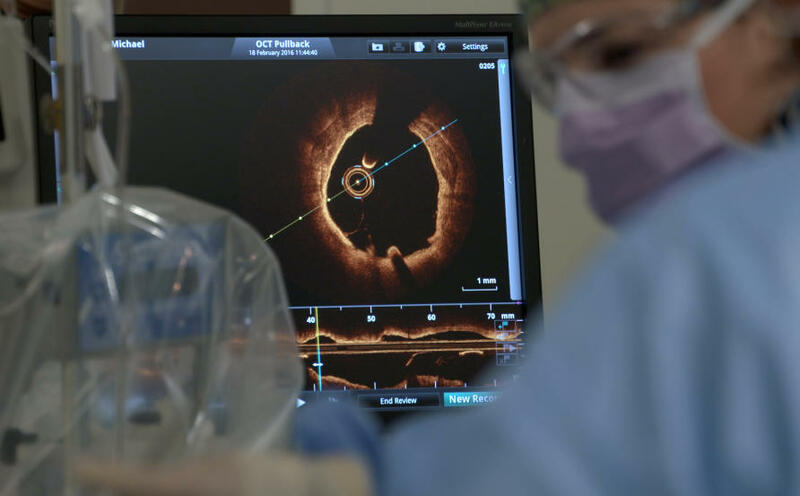 “We’ve gone to our engineers and created 3D models looking at a million data points in the artery. We’re getting very useful data on potentially predicating sites within the arteries in the heart that may be prone to future complications. “And much like debris accumulates along a riverbank, plaque can cling to certain areas of a person’s artery. So this technology really gives us a clearer picture of those areas. 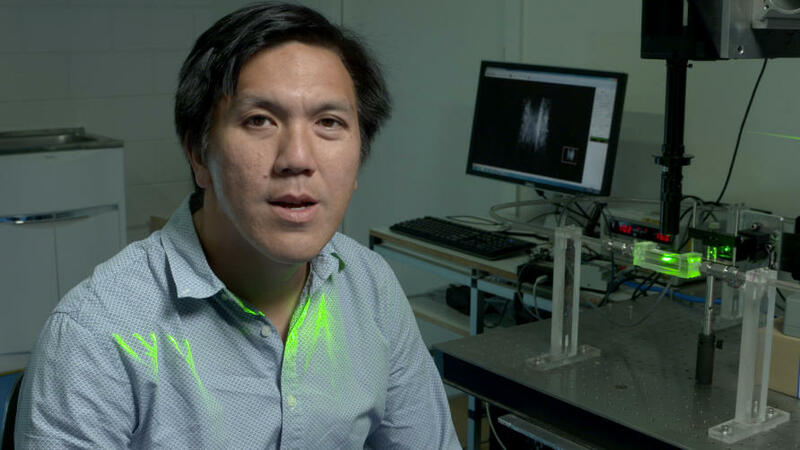 In the labs at the University of Melbourne’s School of Engineering, Professor Andrew Ooi is looking at a model of a blocked artery to understand patterns of blood flow. Mechanical engineer Professor Andrew Ooi’s team is using computer modelling to understand how 3D printed heart stents will affect blood flow in the artery. Picture: Paul Burston. “We are investigating how blockages in the arteries will affect blood flow and how putting a stent in will affect the blood flow,” Professor Ooi says. “We have a model of a blocked artery and the computer screen shows us how the blood is flowing through it. In the coming months, we want to 3D print a stent and put it inside this experimental rig to look at how different stent designs will affect the blood flow through the artery. Dr Vikas Thondapu is a medical doctor undertaking a PhD with Professor Barlis. He is currently working with the Melbourne School of Engineering to analyse the footage shot with the OCT and angiogram. 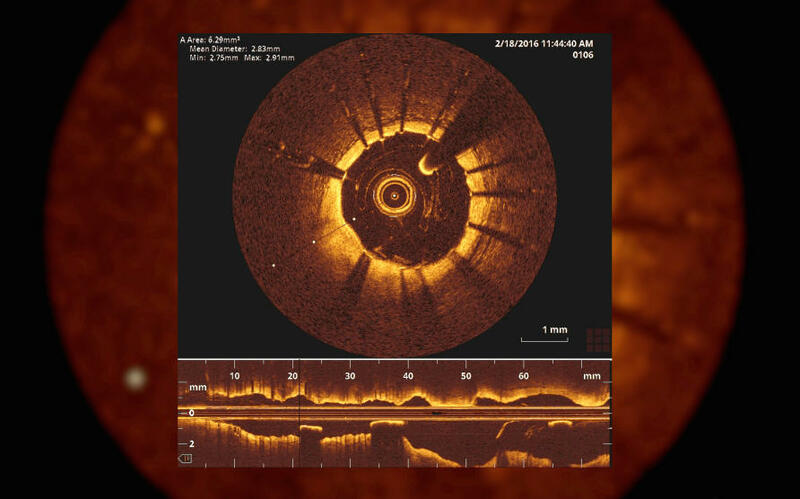 “We are basically taking detailed measurements and looking at how narrow the artery gets and how long the plaque lesion is,” Dr Thondapu says. Identifying which plaques go on to cause a heart attack remains the ‘holy grail’ of cardiology, he says. Associate Professor Barlis and his team now have two Australian Research Council grants to work with the School of Engineering to find a biocompatible polymer to 3D print heart stents to precisely match a person’s physical make-up, reducing the risk of stent collapse or complications. They are also interested in new polymers that will allow the stent to slowly disintegrate over time and deliver drugs directly to the location of the plaque. Dr Thondapu says new generation stents that are bio-absorbable should be widely available within two to three years. “When someone has a heart attack it’s usually due to a blood clot forming,” he says.